The rail industry remains under pressure to improve network performance and resolve capacity issues. Crucial for success is the design of permanent way and deployment of new engineering solutions. Read on to find out how innovative techniques can assist in creating safer and more efficient track systems. The ‘permanent way’ is often seen as a traditional and well understood technology – surely there can’t be much new out there? But as David Clarke, Technical Director of the Railway Industry Association (RIA) explains, you’d be surprised – UK railways, their suppliers and British universities are at the forefront of innovation to continuously improve the track system regarding both safety and efficiency. Repoint: The future of track switching? 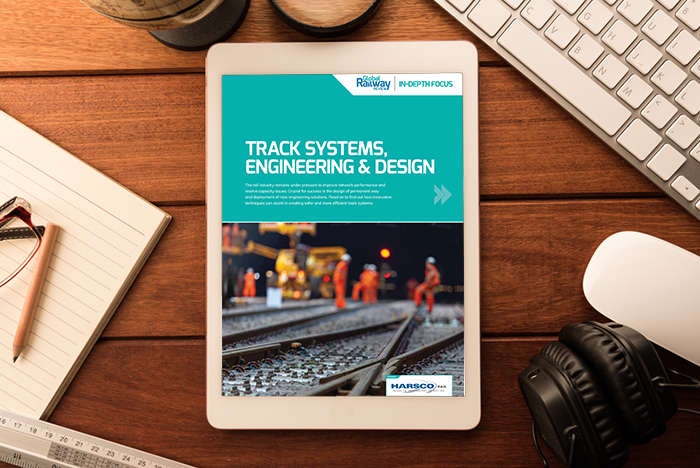 In 2016, Global Railway Review published an article detailing the work of a team at Loughborough University that had developed an idea for a novel track switch mechanism that could, for the first time, bring fault tolerance through redundancy to track switching. This promised to be the first significant change to the track switch in almost 200 years. Funding had just been granted to take the concept – which was proven at a small scale in the lab – forward, build a full-scale switch and take the project to TRL7 – ‘technology demonstration in a representative environment’. Skip forward three years, and the team at Loughborough have completed that task and a period of testing has recently been completed. Tim Harrison, Loughborough University’s Senior Research Associate, explains more. The Institute of Railway Engineering and Transport Economy at Graz University of Technology has vast experience in railway asset and lifecycle management and has collaborated with various infrastructure mangers such as ÖBB, SBB and Bane NOR over the last 25 years. Here, Ivan Vidovic and Matthias Landgraf from the Institute examine the potential of distributed acoustic sensing for railway infrastructure monitoring and identify that using the permanent and continuous information delivered by fibre optic cables would be a major step forward for predictive maintenance; leading to higher availability on railway tracks.